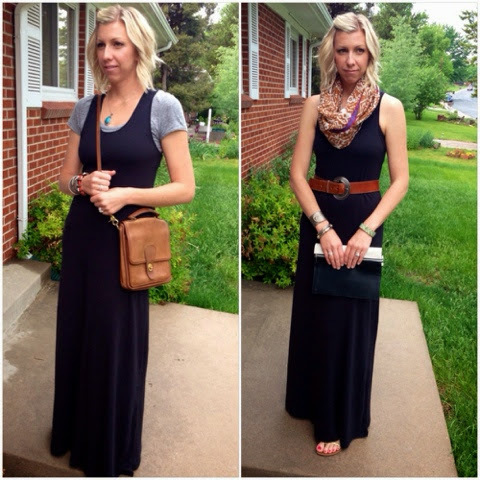 You can't go wrong with a basic black maxi dress for spring and summer. It can worn casually for running errands during the day, a coverup at the pool, or dressed up for a date night or even a wedding! fun bracelets, statement necklace, sandals or sneakers. Printed scarf, clutch, belt (optional) gladiators sandals or wedges, and some dressier gold bangle bracelets. Building your wardrobe with the right basics is the best way to maximize your outfitting possibilities and your budget!